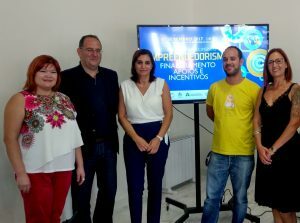 Wise4Biz achieves 100% approval rate in applications to the Incentive Program promoted by the Albergaria-a-Velha City Council (CMAAV). Wise4Biz provides, among other activities, Consulting and Management Support services, also assisting potential entrepreneurs. Wise4Biz is proud to report that all of the applications submitted to the CMAAV Incentive Program have been approved, enabling its promoters to transform their business ideas into sustainable and successful businesses. The contracts between CMAAV and the Promoters were signed today, in a ceremony held at Business Incubator Center in Albergaria-a-velha (Incubadora de Empresas de Albergaria-a-velha).